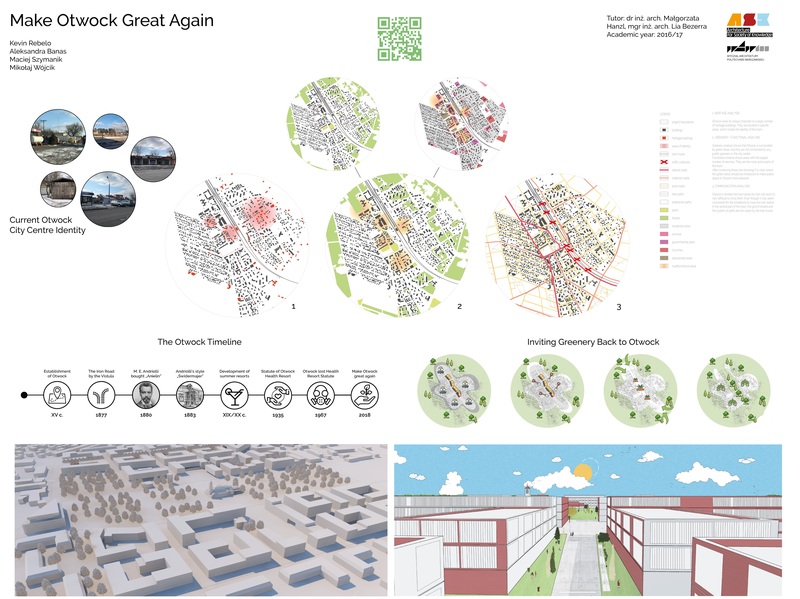 While working on the project Otwock 2.0, students looked for answers to a challenging task defined within the framework of the Information Processing in Urban Planning course. 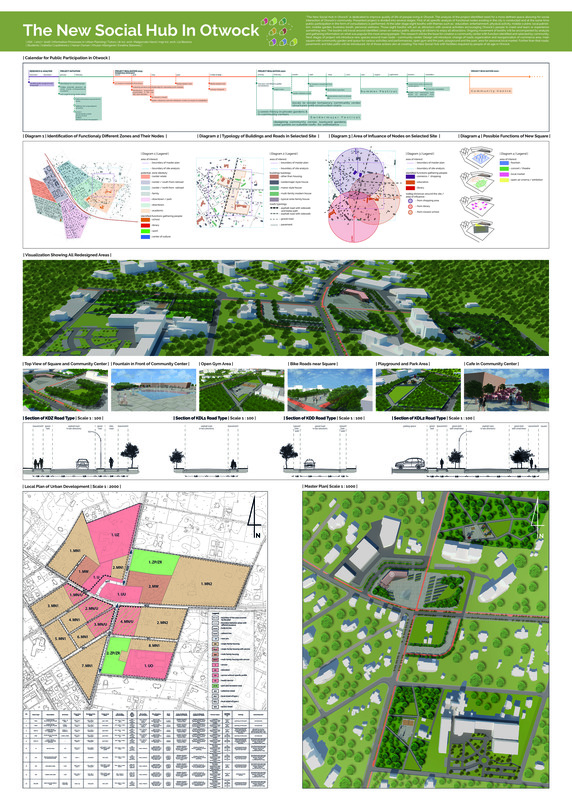 The objective of this project was to resolve the current situation of the town, which, once a famous resort, turned into a place facing severe problems due to the poor environmental conditions and critical socio-economic issues. During the course, students adopted the strategic approach. After defining the site which required intervention, they proposed remedies and tools on how to implement them. 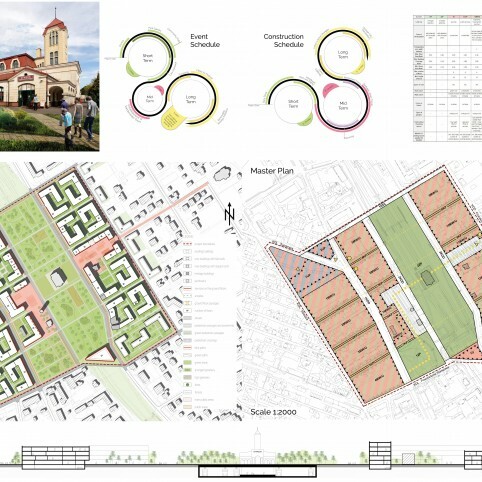 The aim of the “Otwock Oasis” project is to redesign a centre of Otwock – a small town near Warsaw. 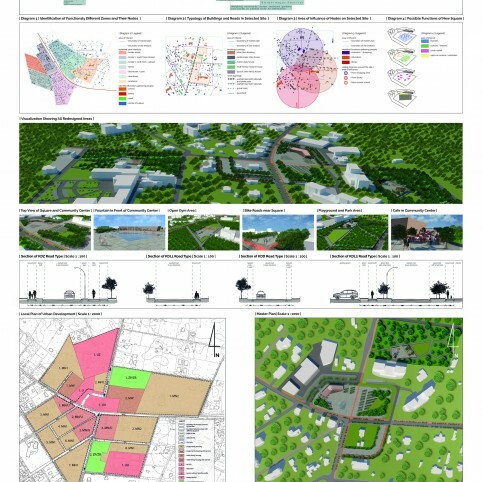 The project is an attempt of showing that the development of the city can be more than a money game. 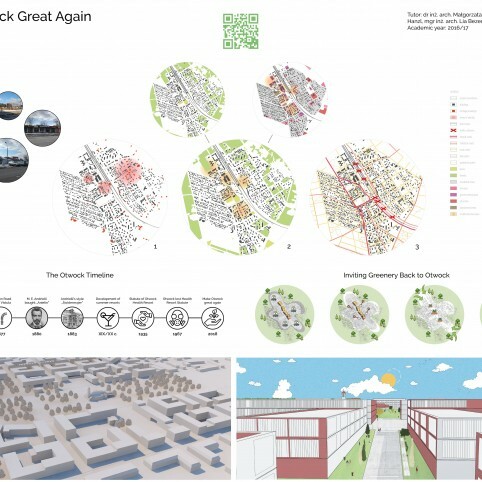 We propose that the city of Otwock invites the activists and non-goverment organisations that can help the situation while bringing in additional cultural quality to the everyday life, introducing new work possibilities, work-life balance solutions and a new local centre for business and entertainment. The location chosen is a wide strech of land currently owned by train company, that is sitting between the existent historical centre and the train station. 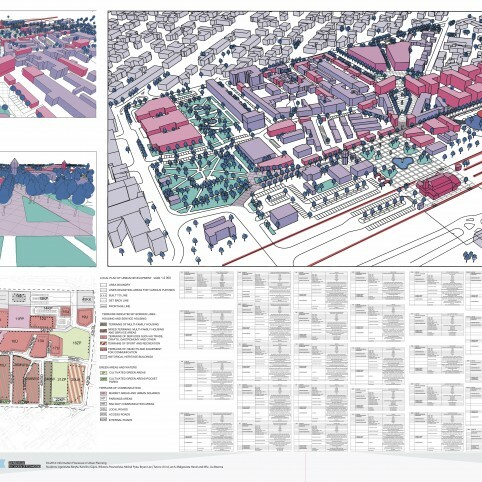 Development of this land will enable the creation of new „Cultural Social District” with forementioned services as well as valuable public space. 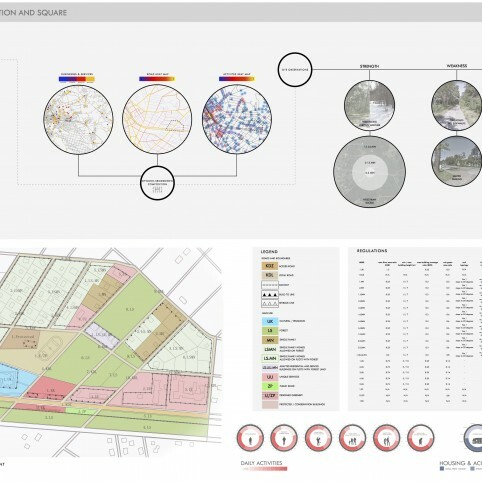 Using also two big plots that were previously being developed for commercial centres as well as modyfing the road layout it was possible to create a pedestrian friendly central zone, keeping the market and existent shops, adding three public squares with different forms and functions as well as a fair amount of greenery. Srodborow is a “city garden” just east of Otwock’s city center. Due to its surrounding forest areas, Srodborow was once a popular destination for relaxation. With it’s own regional train stop, Srodborow has convenient communication, among other assets. 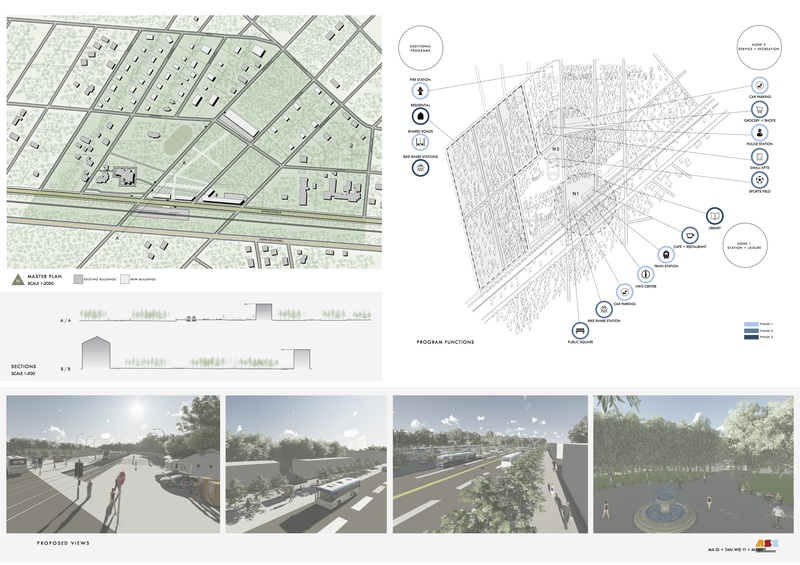 Our design aims to revitalize the immediate area surrounding this station, making Srodborow an attractive and quaint neighborhood for its residents, as well as a nearby destination for visitors to enjoy and learn from nature. 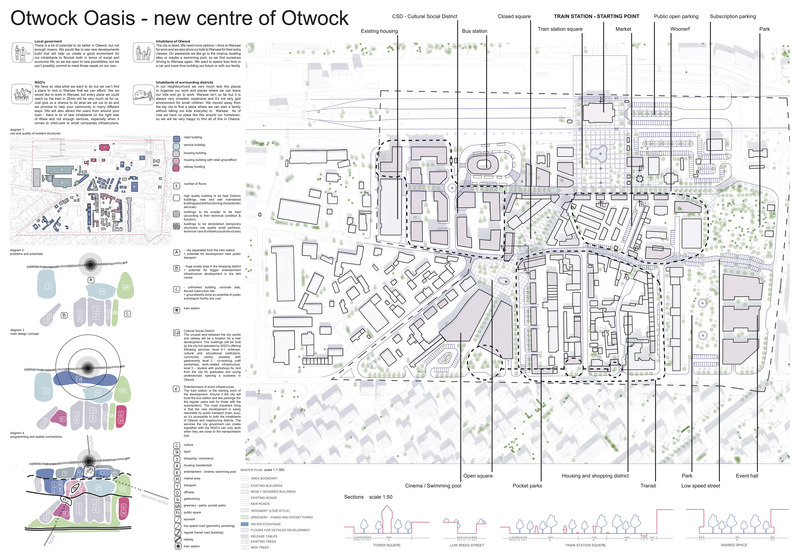 Our endeavours to create a coherent new development scheme for Otwock concluded, after many hours of public discussions. 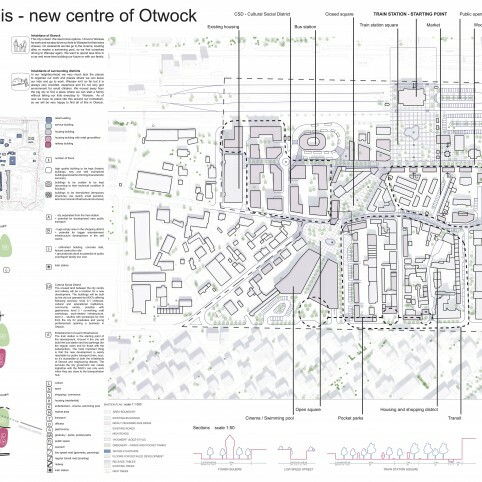 We believe that we proposed an attractive iteration of the what Otwock can become and we have shown the potential for further development, with emphasis on the importance of programme. 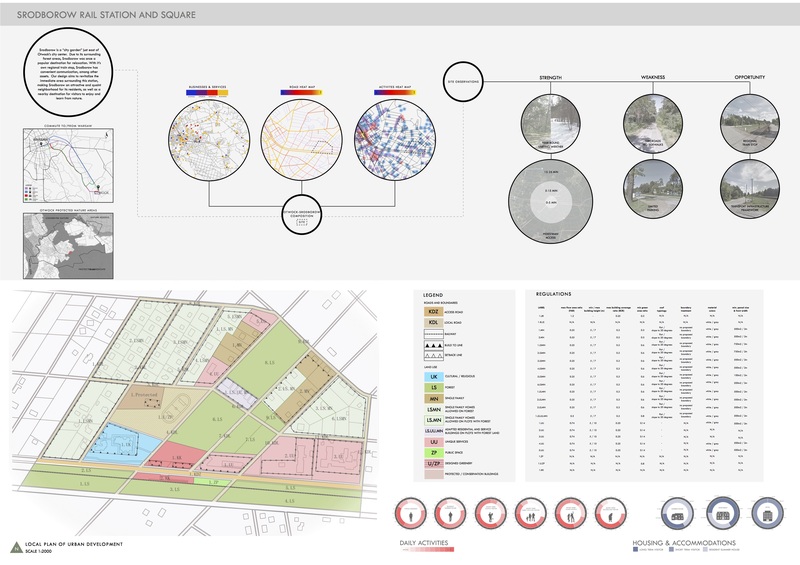 It was crucial in our project to take the influence of the Public into consideration, as they are our main recipients, who will first hand experience the proposed services, activities and places. 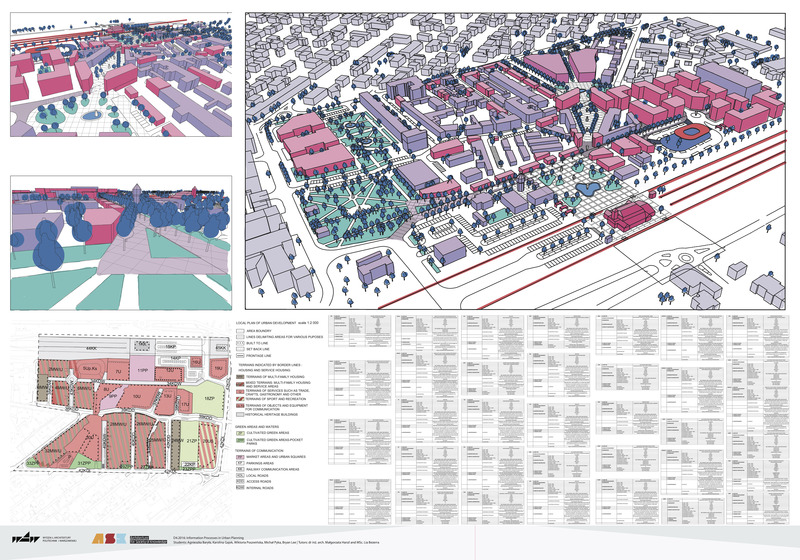 The reorganisation of the urban layout of the target node was in our belief only the first step in the development scheme that could potentially spread out through Otwock. 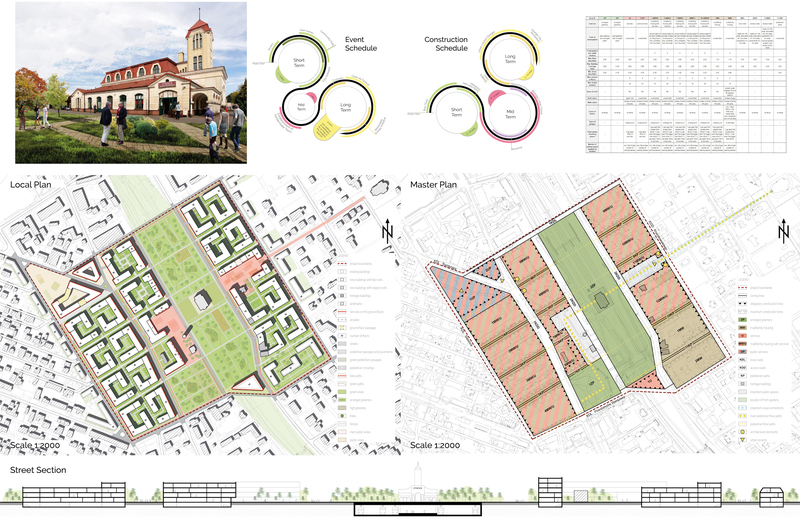 In our approach we relied heavily on the notion of working with the inhabitants, in order to include every desire and need, as well as the greenery and reorganising it. We believe that organised greenery gives an opportunity to regenerate the area in a way that is more informative and pleasant for the inhabitants. 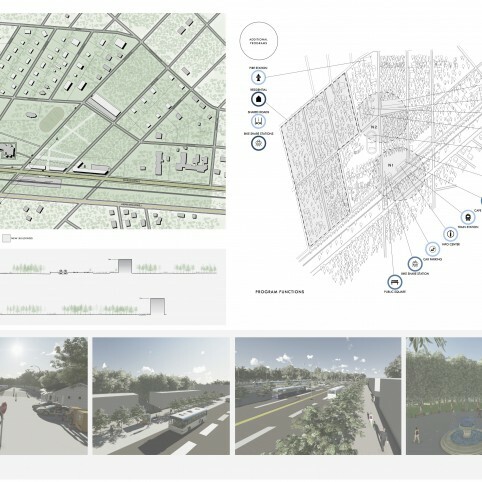 The project involves the series of events and participation methods to keep the residents engaged with the construction the entire way through.